I’ve been thinking a lot about spiritual warfare. Part of the reason for this is I’ve had several opportunities to share Freedom Step 4 from my book Learning to Walk in Freedom lately with groups of people. Freedom Step 4 is Think Like a Free Person. Freedom Step 4 states that most spiritual warfare takes place in our minds. As humans, we walk through different types of spiritual wars. There is a war for our souls. There is the first battlefront. Jesus said “What good is it for someone to gain the whole world, yet forfeit their soul?” (Mark 8:36). Satan tries to convince us that there is no God, and even if there is, we don’t need Him. We can be successful in life through accomplishments, strong relationships and power or wealth. Once we come to believe in Jesus, there is a second battlefront. This battle concerns the obstacles we face, and our struggle with sin patterns in our lives. “The thief comes only to steal and kill and destroy; I have come that they may have life, and have it to the full,” said Jesus, as recorded in John 10:10. Jesus didn’t want us to know Him simply so we can go to heaven when we die. He desires that we live life to the full, throwing off the “sin that so easily entangles” as mentioned in Hebrews 12:1-3. And yet there is another battle, one that is far more insidious than the others. It is the battle for our identity. Even after I laid down my sexuality at the cross and chose to walk in obedience in that area, even after I stopped starving myself and began to be more at peace with food (a much longer and more painful process), even when the urge to self-injure had mostly subsided, I was still left with – well – me. I still experienced quite a bit of self-loathing, insecurity, worthlessness, depression and deep core beliefs that maybe God really wasn’t who He says He is. I was still left with all the ways my thoughts and perceptions and speculations affected me. God led me through a process of learning to recognize the lies I believed and how they impacted me. He taught me how to go to war against my false beliefs and make them obedient to Christ. I no longer struggle with self-loathing and worthlessness to the degree I did in the past. Now, I struggle with self-limiting thoughts. Those self-limiting thoughts that say things like, What have I gotten myself into? I thought this dream was from God, but nothing is turning out the way I planned. I should be safe and keep my hopes reined in. But here’s the thing. You’re not really limiting yourself; you’re limiting God. Years ago, I set part of Isaiah 49 to music with an intro I added. I sang this today as I went to war in worship and praise for some friends who need Jesus to show up in a mighty way. This is sung from God’s perspective. who is nursing at her breast? on the baby that she has given birth to? Look; you are written on the palm of my hand! Father God and His Son Jesus gave up everything for you. And yet we tell ourselves we will never be able to walk out the dreams God has put on our hearts. We tell ourselves we are too weak, too insubstantial. Those are lies from the pit of hell. 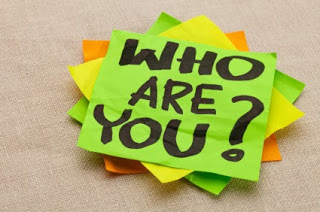 Where do we find our identity? Where do we find our worth? We find it as declared in the cross and nowhere else. Jesus fought the battle for us so that we could walk in the fullness of all He created us to be. Where do we find our potential? In the God who is able to raise from the dead. Peter, when addressing the crowds on the day of Pentecost, stated, “But God raised him [Jesus] from the dead, freeing him from the agony of death, because it was impossible for death to keep its hold on him” (Acts 2:24). That is what God is capable of doing. In your life. We need to stop limiting God by believing the lies the enemy has told us. We need to go to war for our identity. This entry was posted in freedom friday, identity, satan, spiritual warfare by Brenna Kate Simonds. Bookmark the permalink. This was a great blog, I enjoyed this weeks post, and found it very helpful. I just wanted to encourage you to keep posting. You truly are doing the Lords work.